Sewage Agitator pumps are designed for industrial, mining and power plants or wherever the slurry solids have a tendency to accumulate, agitator pumps are the solution. 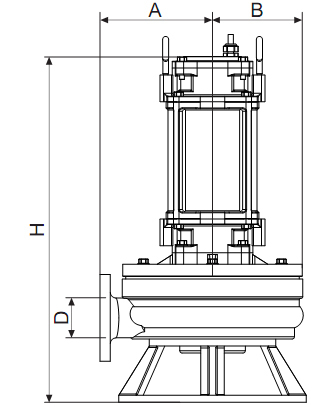 Since the water always flows to the path of least resistance, a pump without mechanical agitation will only pump the water, leaving the solids behind to accumulate around the pump intake. 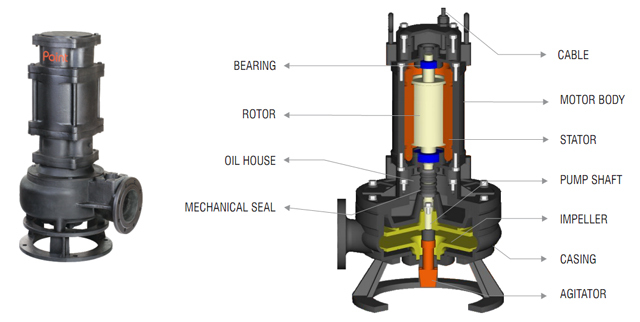 Agitator pumps deliver kinetic energy (energy of motion) to slurry solids, which surrounds the pump intake, re-suspending them into a fluid state. These solids, which would have been otherwise buried, are pulled into the pump and pushed on through the discharge, keeping the intake clear and free of slurry accumulation.